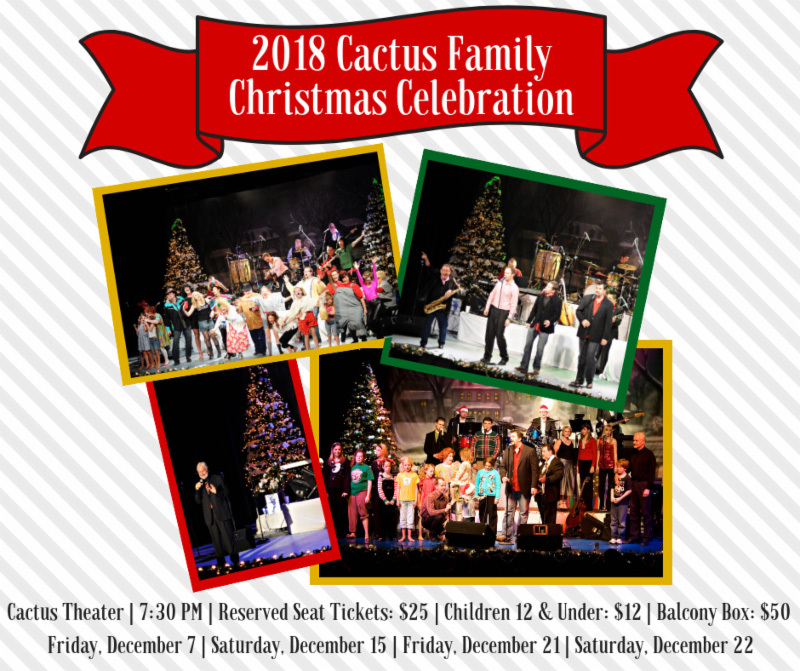 Caldwell Entertainment, after being gone for two years, is back to produce the 2018 Cactus Family Christmas Celebration. Don’t miss one of these four nights to enjoy the best talent that West Texas has to offer! From your favorite Christmas hymns to your favorite contemporary Christmas music arrangements and tons of toe tapping fun, you're promised a wonderful memorable night of celebration. The team of Kurt Kiser, Jane Prince Jones, Jason Fellers, Terri Caldwell, Brandon Gwinn, Jeff Bailey, Butch Avery, Sheena Fadeyi, Avery Guyear, Haley Simpson, Lucas Tomblin, Blaire Elbert, Baby Jade, Addie Bleu and the Caldwell Collective Band, is back with some of the finest young new talent you have ever seen including: Emily George, Gabriella Flores, Brenn Edwards, Kassidy King and more! Join us at the newly-renovated and beautifully-decorated Cactus Theater for this wonderful Family Christmas celebration!! !